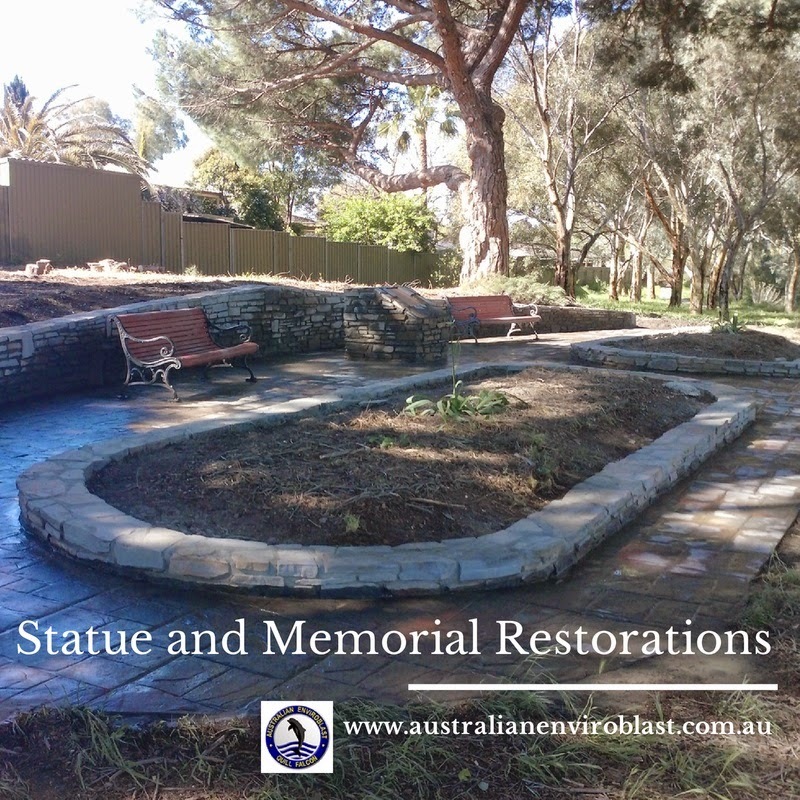 However, public art, statues and memorials, when located outside, are subject to the elements, and often become stained and discoloured as a result of traffic fumes, air pollution and being exposed to the wind and the rain. Abrasive blasting using the Quill Falcon Kwikblast® Dustless Blasting System allows these public works to be restored to their former glory without damaging the fine detail and contours or detracting from the artist’s original vision. Intricate surface designs can be cleaned without any damage, as there are no chemicals used and the process is a gentle one. Likewise, public memorials can be fully appreciated if they are clean and all writing and inscriptions is clearly visible. In addition, abrasive blasting is gentle enough to be used on other artistic media, such as wood, copper and steel, and so is suitable for the cleaning of contemporary works of art installed in public spaces as well. To learn more about Adelaide abrasive blasting, please visit our website or feel free to email us with an enquiry. Agent Local is a free Australian business directory.